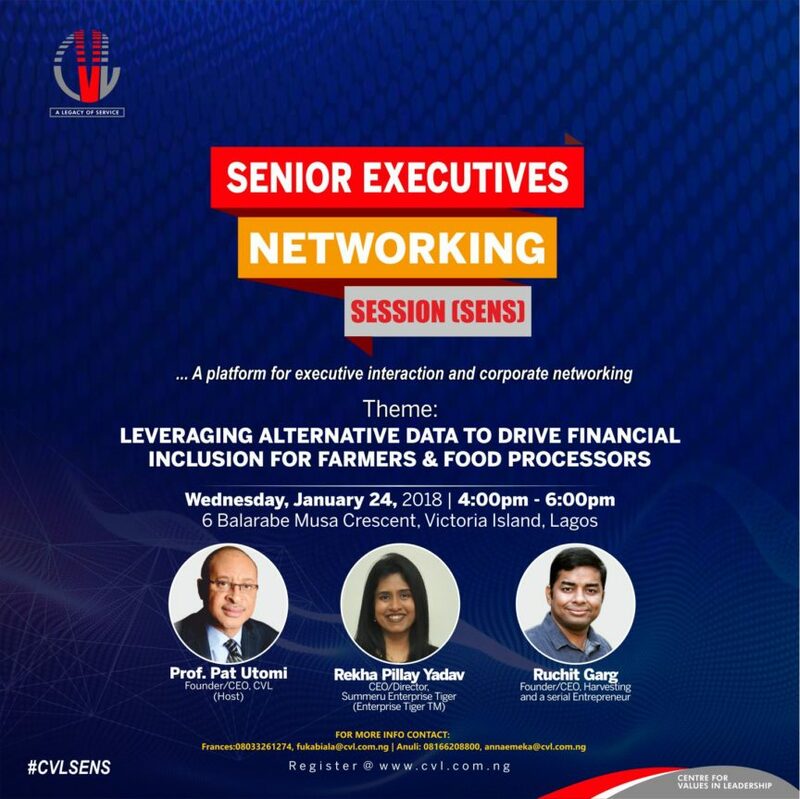 CVL (Centre for Values in Leadership) in conjunction with Sumeru Nigeria Limited invite you to the 6th edition of Senior Executives Networking Session. This session will feature expert discussions on Leveraging Alternative Data to Drive Financial Inclusion for Farmers & Food processors. 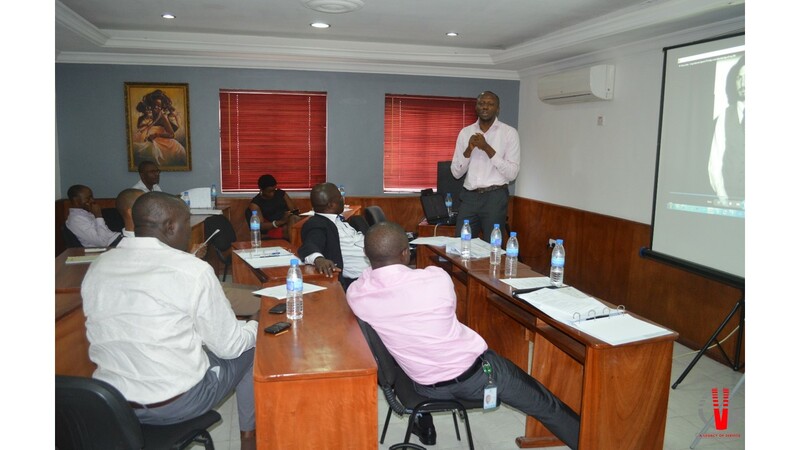 This 6th edition of CVL SENS would be anchored by Prof. Pat Utomi, Ruchit Garg, a serial entrepreneur who has built & sold numerous Companies and previously worked for Micro-soft and Rekha Pillay Yadav, CEO and Director of Sumeru Enterprise Tiger (Enterprise TigerTM), a Fintech startup. CEOs, MDs, Senior Executives, Business Owners, Heads of Business and Product Development Units, Farmers, Entrepreneurs. relationship, contacts, opportunities, business leads and interaction that will support the growth of their farms, organizations and businesses. For more information, contact: Francisca on 0803 326 1274,fukabiala@cvl.com.ng, Anuli on 0816 620 8800, annaemeka@cvl.com.ng.